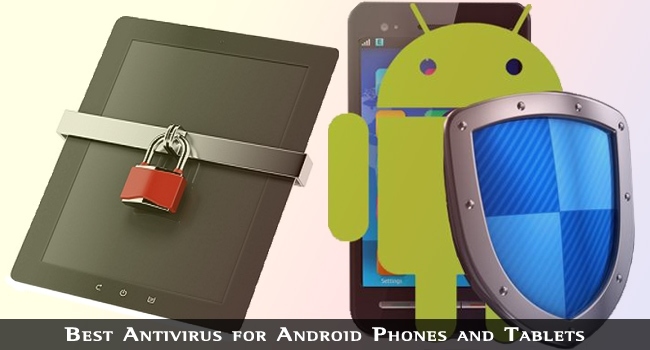 With every other person owning an Android phone or tablet, it is great need to make Android users aware about the antivirus programs available for their computing gadgets. This OS is open source available for any manufacturer and hence, brings vulnerabilities indicating it can be easily attacked by the viruses in comparison to other OS, be it Windows OS or iOS. An efficient antivirus or anti-malware app can not only protect your Android device from threats you may come across accidentally, but also makes users stay relieved and carefree. The AVG (Anti Virus Grisoft) developers, already popular for free PC Antivirus apps, introduced a simple, easy to use and free antivirus for Android which is available on the Google Play Store. However, you need to spend some amount, if you demand provision of extreme security, by purchasing the pro version. This app guarantees you maximum security features like scanning of several apps on your device, lock and wipe device remotely, complete protection from malware and virus attack during online browsing, etc. Along with AVG, AVAST is also one of the most widely used PC antivirus and you can even find it on Google Play Store. Yes, AVAST has developed an antivirus app for Android devices. With excellent user interface, it has all the basic features of protection. Similar to the previous one, you can buy the premium version (1.99 USD/ month or 14.99 USD/ year) to get more tight security and extensive backup of videos and similar applications, whereas free version offers only basic backup. It possesses one of the highest rated anti-theft systems. This app also filters all the calls and SMS. Lookout is a best free antivirus app with numerous varieties of features including backup, lost and stolen devices features, etc. As soon as it is installed, it begins protecting your device instantly. Along with the constant app scanning, it scans each data downloaded on your gadget. It may be included as bloatware on some phones. ESET developed the Nod32 antivirus for PCs and later the Mobile Security and Antivirus for the Android phones and tablets was designed. ESET Live Grid provides updates on latest anti-theft and malware threats. On choosing the paid version i.e. $15.97per year subscription, you will be offered SIM Guard. This unique feature controls the phone even if another SIM card is inserted. Additionally, it comes with a pleasant interface. MacAfee antivirus and security app is a free app that has standard features like protection from thefts via junks, online browsing protection, scanning of device apps, backup feature, etc. Moreover, it aids in searching for the lost device. There is also an upgraded pro version of it for higher security. According to some ratings, it’s at the top of free antivirus app list and even won awards for its security and protection purpose. It has no premium version. The anti-theft includes a striking feature that makes it an efficient and preferable app. It captures the photo of the theft if he enters wrong device password three times, and emails you the snap. This is something truly loved by the users and hence, TrustGo is trustworthy! Along with the basics, NQ Mobile Security & Antivirus has some highly beneficial feature sets like anti-spam, system optimization, app management, backup & restore features and advanced tools to help you see what’s using your resources and data. Though its paid version costs 19.99 USD, it’s worth upgrading this version if security is the prime concern of the user. This free app is another popular and widely used with more than 5 million downloads. It has some unique features like a floating window feature, call blocker, privacy advisor and other standard features. It has also got an eye-catchy and user-friendly interface. 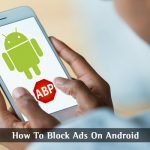 These were few interesting and worth using Android Antivirus Apps with each of them having genuinely beneficial features and provisions with both free and premium versions. However, there are lots of such apps on the Play Store you can look upon and select the one most suitable and convenient for your Android device. For example, you can check out for Norton Security Antivirus (Cost: Free or 29.99 USD per year subscription) which is widely recommended. Another app I would advice is the Dr. Web Antivirus (Cost: Free or 75 USD). Although the paid version is too expensive, you must not ignore the free one. It is specifically for those Android users who are battery savvy with lower specs and limited data plans devices. Hope you are now acknowledged with the various apps mentioned and discussed. Don’t forget to share your opinion via comment and let us know which one is the best according to you. My all-time favorite Avast antivirus for PC and my android phone too. Easy navigation and secure. Glad to know this is listed as best antivirus. Great to see the antivirus list for tabs and PC. I think the best suitable from all of these is Avast. I am using it from last four years and still, I have never faced any problem on my PC, which can occur due to a poor version of antivirus. I’ve been using Android mobile since a while now but never used any antivirus application and I’d try the mentioned ones soon. I’m using AVG for a long time, its rocking in performance. Even after buying the Moto G, I have installed the same in this one too. Avg is awesome in performance, Thanks Aishwarya for this fantastic information. Well, Android has grown popular to such an extent, that it’s now familiar with viruses too. Most of us, are too dependent on our Android phones. We do transactions, networking and much more important thing on our phones. It tends to possess many crucial data about us. Many think that only PCs are more prone to viruses than that of phones, which is a totally wrong. There are few infamous viruses revolving around Android-ecosphere too. One has to take precaution and take guard of it. Thanks Aishwariya for your antiviruses guide, now I have a list of antivirus to have a hands-on. Try different app, some applications eat more resources that is why some devices start lagging. I think this antivirus will be a needy one for everyone who has Android phones and tablets. I am definitely gonna try out some of the best antiviruses for my Android. AVG is by far best antivirus for Android but Avast is also not bad. I have an Android Tablet and I’m using Avast antivirus which I think provides a good performance than other. The security provided by Avast is sufficient because the database is updated on a daily basis. No doubt Avast antivirus is one of the best for keeping your data secure and I always prefer and recommend Avast antivirus to others for using it on their mobile devices and PC as well. For me, Avast is always my first choice. I use it for my PC and phone and it’s always been reliable. Really it’s a great list about best Android antivirus. However, AVG is no.1 on this list but I love Avast. Because, it is very easy to use and the anti-theft of Avast is the best one, I think. For me, AVG Antivirus is always my first choice. I use it for my PC and phone. Also, It is very easy to use. But I personally use the Avast, which is far better both in terms of features and performance. Anyhow, thanks for posting and sharing the information. Really it’s a great list about best Android antivirus. However, AVG is no.1 on this list but I love Avast. Honestly, I never install antivirus on my Android phone. Cause I only use my phone for YouTube, FB, email, chatting. I never do an important thing on my phone. But after reading your post, I might install an antivirus as a precaution. I like using AVG and I use it on my PC, Smartphone etc and happy to saw it first in the list. You have listed some effective antivirus for the mobile gadgets. But I would recommend the Quick Heal Antivirus for both PC and mobile gadgets. I have been using their total security product since 2010 and I’m completely satisfied with its performance. I didn’t face any virus issues till now. I often use its PC Tuner and Defragmentation feature to boost the performance of my PC and phone. AVG Antivirus Security Free is still my first choice, with its appearances and function, the price can be reasonable and you can get the best service ever. Thanks for your sharing. I am using Avast Mobile Security in my android mobile phone. Also this avast security is very easy to use the application in mobile. Also their are various security features that will help to remove unwanted files from your phone. Eset smart security is my favourite one mostly I used it on my PC. While for Android I think 360 mobile security is the best-recommended antivirus. Thanks for the post-Aishwarya Gunde. 1)Simply downloading and installing antivirus software In Android is waste. 2) We need to test the antivirus software are really detected potentially unwanted software or not. 3) I have tested more than 100 antivirus software are available in google play store, before installing this antivirus software, I have installed six EICAR test based apk. 4) And then I started to install and test one by one antivirus app , only 5 software able to detect EICAR test apk which are installed in internal memory and only 3 software was able to detect EICAR test apks are available in offline memory card. 5) At last, I received good antivirus support for KASPERSKY INTERNET SECURITY, it’s my favorite for android and to the personal computer.